To really achieve glowing dewy skin on your wedding day, it's vital that you plan ahead. 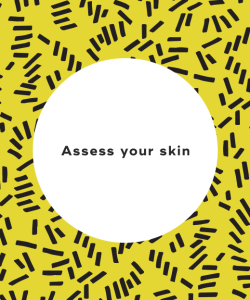 That means assessing the health of your skin and creating a customized skincare regimen to follow. You should visit a dermatologist to learn about how your skin can be better improved and what treatments you should get done. Start this process early -- about a year before your wedding. 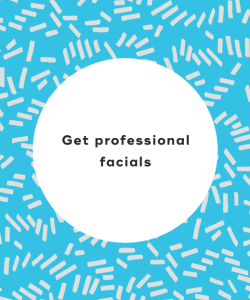 Improve the texture and quality of your skin by booking regular professional facials on a monthly basis. This will help refresh your skin. Professional aestheticians massage your skin, scalp, and decolletage to stimulate blood flow to keep your skin healthy-looking. As part of a facial, aestheticians also perform extractions to get all the dirt out of your pores. The saying is true -- you are what you eat. 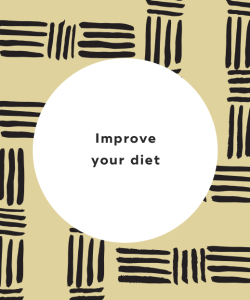 You can drastically improve the appearance of your skin by cleaning up your diet. 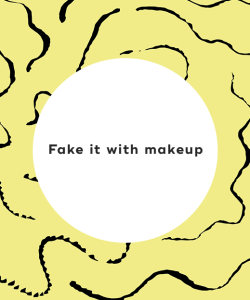 That means no refined sugars, simple carbohydrates, salt, alcohol, or saturated fats, all of which can make your skin look dull and cause breakouts. Focus on superfoods such as whole grains, healthy fats, lean proteins, and ample fruits and vegetables like kale, blueberries, cucumbers, and tomatoes. 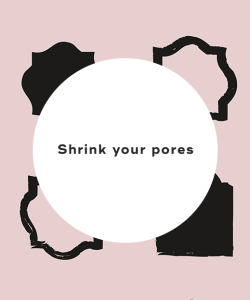 While you can't actually change the size of your pores, you can make them appear smaller. Treatments like microdermabrasion and Clear + Brilliant minimize the depth of pores so that they seem smaller. Glycolic acid and other chemical peels exfoliate the top layers of skin, too, minimizing pore surface. Most women often neglect their lips when it comes to wearing SPF 30. It's easier to prevent cracked and chapped lips from developing than trying to repair them. 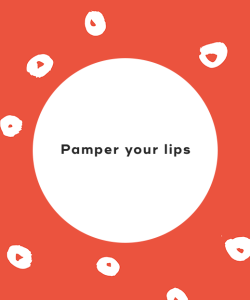 Always apply a thick balm with SPF 30 or higher to lips to keep them in tip-top shape. Not all moisturizers are the same. 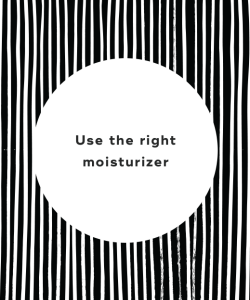 You should invest in a high-quality moisturizer that's formulated for your skin type. If you have oily skin, then look for a moisturizer that contains salicylic acid to prevent outbreaks. For dry skin, reach for moisturizers made with hyaluronic acid that'll intensely hydrate your skin. Facial masks are meant to enhance your daily skincare routine. Those made with clays typically deep clean your skin by dissolving hard sebum in your pores. Use a face mask once a week for optimal results. The key to glowing skin is exfoliating your skin often. When you're younger, your skin cells turn over more frequently. But as you grow older, skin cell renewal slows down. As a result, dead skin cells pile up, making your skin look dull. 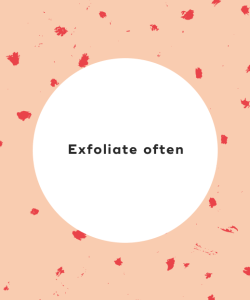 To brighten skin, exfoliate it twice a week at night time so you remove all the gunk from the day. Just as eating healthy foods will make your skin look healthier and dewier, so does exercise. 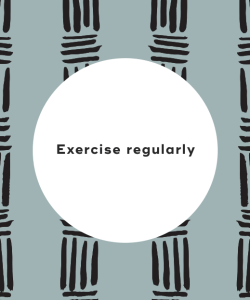 Regular cardiovascular exercise helps to increase blood flow, enabling your body to flush out toxins. It also brings a natural flush of color to your skin. You can easily fake a natural glow using highlighter. Choose a champagne shade that looks flattering on almost anyone. If your skin is normal-to-dry, then use a cream highlighter. Apply to your cheekbones, brow bones, the center of your chin, and the tip of your nose. If you have an oily complexion, then use a powder highlighter. On your wedding day, you want to look like the most beautiful version of yourself ever. The key to achieving flawless skin on your big day is to plan ahead. This means discussing any skin concerns with a dermatologist, creating a customized skincare plan, and adopting a healthy diet and lifestyle. You'll take everyone by surprise. "8 Easy Ways to Get Glowing Skin by Spring," Glamour, n.d.
"16 Tips for Glowing Wedding Skin," The Knot, n.d.
"How to Plan and Start a Wedding Beauty Regimen," Brides, November 3, 2017. "Want Brighter Skin? Try These 8 Tricks," Allure, June 25, 2017.